Strengthen your messaging strategy with email marketing automation. The broader your event marketing outreach is, the more chances for capturing many registrations. GSI email marketing tools are integrated with online registration, ticketing, and event website solutions. These features help event marketers make the best use of contact bases to build targeted campaigns and personalized messages. 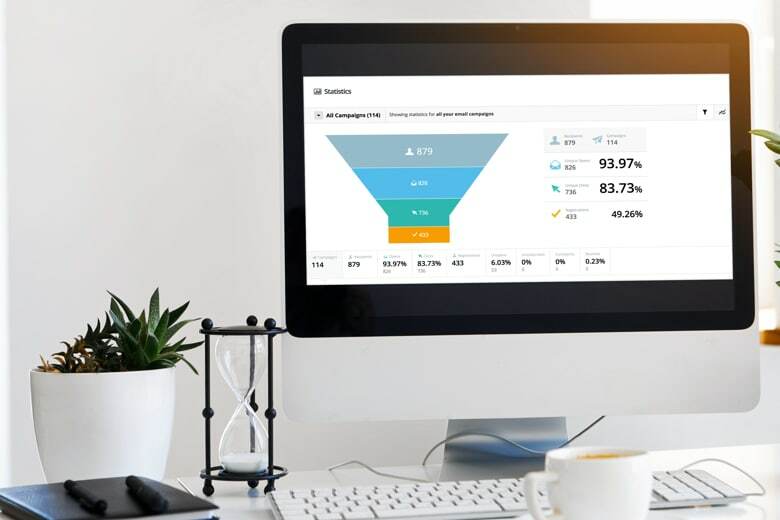 Additionally, intelligent email marketing tools help you with follow-up engagements with your attendees, all while providing smart reports based on your segmentation. With the customization-driven modules available on GEVME Email Marketing, event marketers can embrace an individual approach to every target persona. Make your email blasting smart by using group invitations, personalized reminders and newsletters, targeted cross-marketing campaigns, greeting capabilities, and more. Catchy email subjects and creative visuals attract the attention of the recipients, but only the right branding gives each of them the feel of your event. Use the rich GSI branding capabilities to create beautiful, on-brand email marketing campaigns. To simplify the process of picking the target contacts from the contact base, event marketers can integrate email marketing tools with GEVME Registration, allowing you to dive into your data very quickly without having to hop between applications. Post-event, personalized survey solutions, smart reporting, and data tracking help event marketers see the whole picture of their email marketing performance. You can leverage GEVME Survey to capture feedback from event guests, track contest engagement with Judgify reporting, monitor payments or registrations with GEVME Registration real-time tracking modules, and more. Ready to set up honest communications with your target attendee?